it is a planning tool for economic re-investment and sustainable development. Through lobbying, testimony, publicity, education, and communication, CPA watches, protects, and advocates for the expansion of support for historic preservation-friendly legislation in the state. We have eyes and ears at the capitol. sponsored educational events to notify developers of evolving legislation and expanding opportunities. For information about historic preservation resources in the state and near you, consult our member organizations. 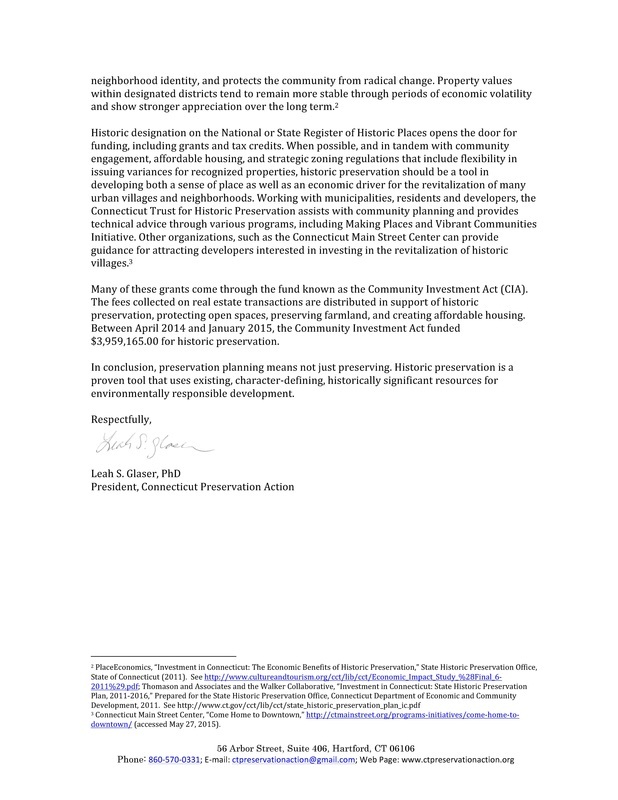 2011 Expansion of the definition of Certified Historic Structures and of future uses in the Historic Structures Rehabilitation and Historic Preservation Tax Credit Program. 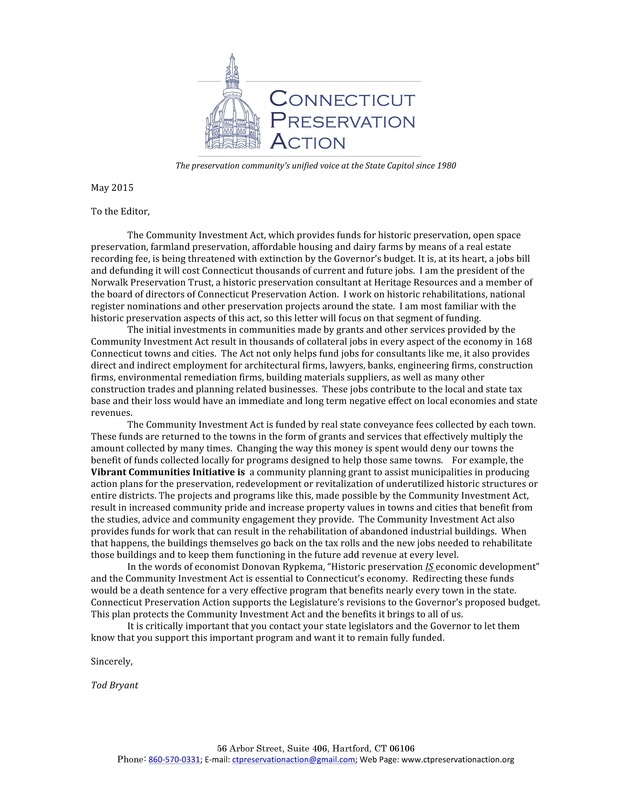 2016 Defended, the integrity of the Community Investment Act funds when Governor's budget proposed to cut several million. Reduced to 1 million. 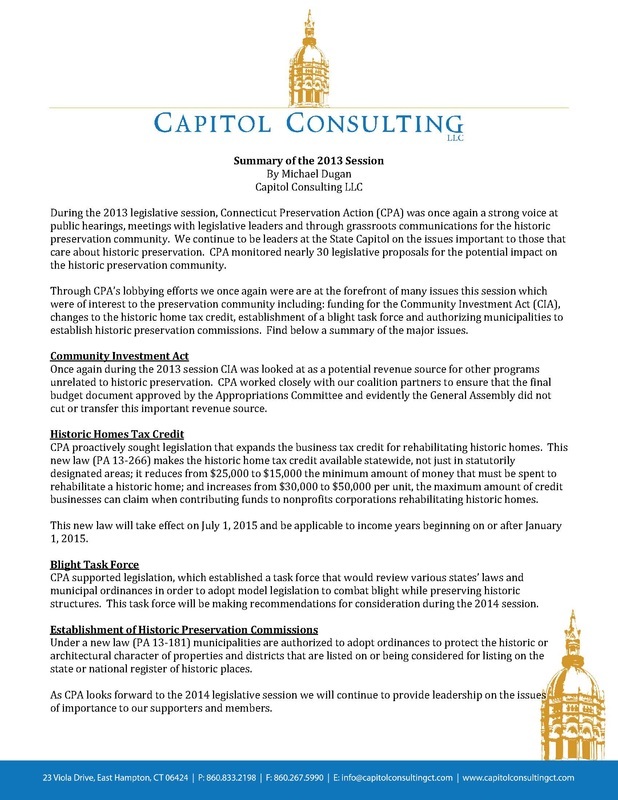 2017 Defended the integrity of the Community Investment Act funds when Governor's budget proposed to cut several million. 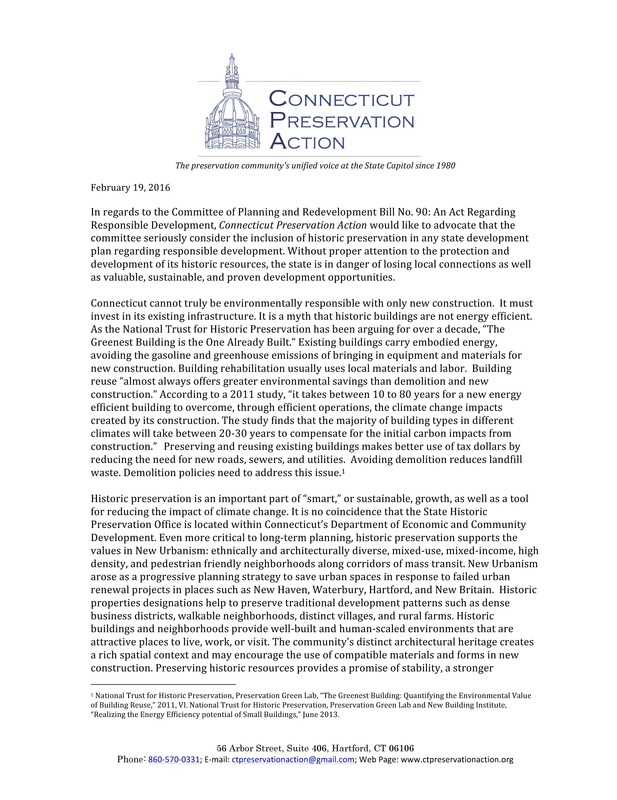 See below slideshow for terrific tips on how to advocate for historic preservation in Connecticut!